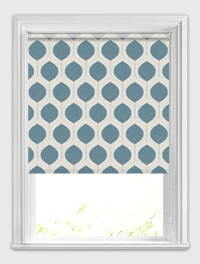 Make a statement at your windows with our stylish collection of patterned roller blinds. From delicate designs in soothing neutral tones through to contemporary prints in vivid and vibrant palettes, there’s something to compliment any style of décor. Choose from hundreds of beautiful colours and styles, all manufactured to your exact specifications using only the finest British fabrics, materials and components to create a truly luxurious window blind. With a choice of funky florals and bold botanicals, traditional damask patterns and timeless striped, spots and circles, we’ve got a patterned roller blind to suit all types of interior and create a stylish look in any room of your home. 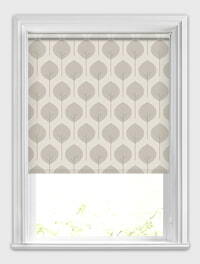 From the kitchen and bathroom to the bedroom or living room, the addition of a luxury patterned design at the windows will bring detail, design and a sophisticated look to the room. Whether your home is a modern masterpiece and you want to create an unusual, abstract, bright and bold look, or you have a more classical styled home and you prefer a more conventional look, our beautifully colourful and wonderfully plush designer roller blinds will create a fabulous focal point at any window. Made to measure using only the finest fabrics, a rust proof and extremely durable heavy-duty aluminium tube and a high quality sidewinder control mechanism, you can be sure you are buying a quality British made product that will look fabulous and give you years or trouble free service. If safety is a concern, and particularly child safety regarding blind cords, all of our luxury pattern roller blinds are supplied with an easy break child friendly connector that will break apart when put under a certain amount of pressure, giving you complete peace of mind. Excellent service and good knowledge of products by staff. 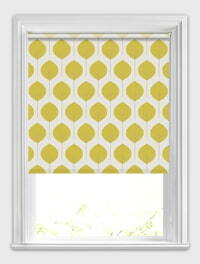 We are very pleased with the blinds. We have ordered kitchen blinds in the past and the quality and service is excellent. Would definitely recommend to anyone.